It’s best to allow 5-6 months before your wedding to order a gown. Please allow one month for alterations as well to get the wedding gown perfect for your silhouette. What is a standard-order gown? A standard order gown is made for you by a designer, based on the measurements we take from you. The designer uses their pattern/sizing that is closest to your measurements to determine the standard size. We then fit it to perfection for your body with our in-house tailor. When should I expect to receive my standard-order gown? Your gown typically arrives 8-10 weeks before your wedding date. The dress is delivered to us directly from the designer and we perform a thorough quality control check on each gown. Once we are satisfied the gown is perfect, we’ll call you to come and view your gown and also make appointments for the final fittings closer to the wedding date; the balance payment is due at the viewing of your gown. A special-order gown is made specifically for you based on the measurements we take on you, the designer then uses their pattern that is closest to your measurements to create your gown. There is a cost to this service. The tailor of your choice does the final tweaking. When should I expect to receive my special-order gown? Your gown typically arrives 8-10 weeks before your wedding date. The dress is delivered to us directly from the designer and we perform a thorough quality control check on each gown. Once we are satisfied the gown is perfect, we’ll call you to schedule to view your dress, or arrange to ship. Final payment is due on this delivery. We accept American Express, MasterCard, and Visa, as well as Eftpos and cash. Credit Card payment per phone and online transfers are also welcome. There is a surcharge of 2% on credit card payments (2.5% on AmEx). If you are ordering a standard order or special-order gown, we require a 50% deposit at the time you order your gown. When the gown arrives at Jessica Bridal and passes our quality control check, we’ll contact you to let you know and to schedule a fitting. At that point, we require payment of the remaining 50% balance. If you are buying a sample gown off the rack, we require 100% payment and you must take the dress home with you that day. You are welcome to use a tailor of your choice. If you’ve requested that we ship your gown to you, your balance must be paid for in full before it can be shipped. Can I get a swatch of the colour of my gown? Most of our gowns are from manufacturers that do not provide fabric swatches. We can match a sample from our fabric library if it is possible. We will be happy to give you a small sample from your actual dress when it arrives from the designer and we are doing alterations; as dye lots vary widely, this will give you the best colour to use for matching. Our wedding package gowns start at $1,000.00. Our collection is more frequently in the $2,500.00 – $3,800.00 range or higher. Off-the-rack sample sale gowns can be much less, discounted up to 70% off. Look out for this special event on our website front pages. We also offer a limited collection of gowns under $2000.Our collection includes gowns form $1,500.00 to $10,000.00. What does Online Special Price mean? We sometimes offer discount price for online purchase only. The sale would only include a certain range of the products and require full payment. We would not take further alteration is required for the fitting. If I receive my wedding gown / online order, and it needs alterations? You should bring to all the fittings the shoes and undergarments you’ll wear on your wedding day in order to have your gown properly fit through the bodice and hemline. Please shop for these before your first fitting appointment, if you haven’t already. Usually, brides require 2-3 fittings to ensure a perfect look. After the final fitting, we will steam and hang your gown in a garment bag for you to take home or pack for shipping. The exclusive Jessica Couture range will require at least 4 fittings, these include Calico, Lining, and then the actual dress fittings could be 2 final fittings. Will you ship my gown to my local address for me? Not a problem. We can ship a dress within New Zealand and participating countries outside New Zealand. Shipping fees apply. A trunk show is a special in-store event, lasting one to three days, where you can view and buy from a designer’s latest collection months before they hit the stores. The designer and or their representatives are usually at the store during a trunk show. If you find the dress of your dreams at a trunk show, be prepared to make a decision that day, as the gown will not be in the store once the trunk show is over. 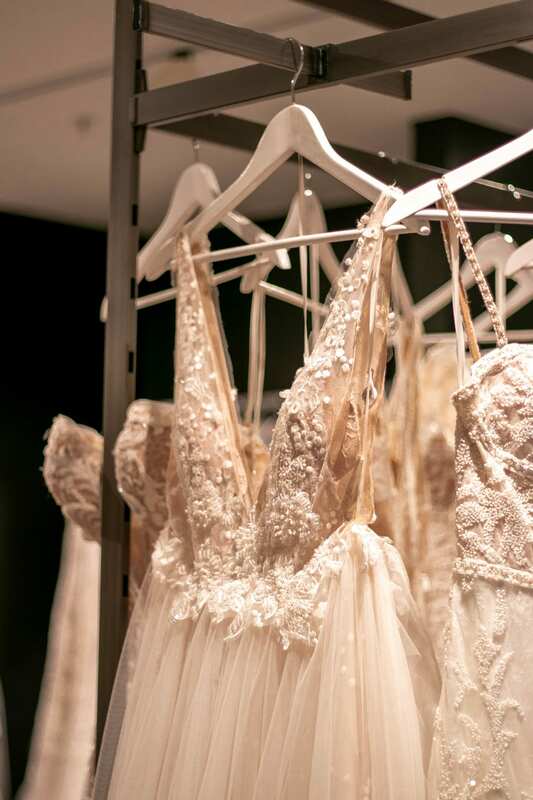 Jessica Bridal hosts a trunk show by arrangement with the designer and will notify clients via media in advance. HELP! I’m getting married less than 2 months – is it too late to get a gown from you? No, it’s not too late, but every second count! Your options include buying one of our samples off the rack or working with a consultant to determine which designers can meet your time frame for a “special urgent order” gown, which could include an additional rush charge. If your wedding date is sooner than the time we typically need to have a standard- or special-order gown made, we’ll need to consult with the designer and place a “rush” order, for an additional fee. In this instance, your gown may arrive 1-3 weeks before your wedding and details will be outlined in your contract. That’s not acceptable: we want your experience in our store to be as memorable as your wedding day. If you find that you are not bonding with your consultant, please ask to speak to the owner, Jessica or the store manager, Jeanette right away. We’ll make arrangements for you to work with someone else to make sure you have a memorable experience.